For lots of homeowners, your house will have various pieces of wooden material which are not used regularly. So why don’t think about utilizing these stuffs for making catchy and impressive decorations around the house? Obviously, making those easy woodworking projects requires individuals to understand some basic methods in designing. However, this article will suggest some simple wood projects for homeowners to make use of their materials. Among various materials, those leftovers and excess materials allow individuals to enhance their creativity in making wine boxes or decorative boxes on the walls. In addition, this does not require too many materials or stuffs, just the paint, tape and convenient things which help to cut out the boxes. The most interesting thing when making those boxes is that homeowners can pick up their own color schemes and themes for designing. After that, just stack them on the wall for decorating this area. Check it out here. Among those woodworking projects for beginners, individuals can express their own imagination and creativity with this wine crack. 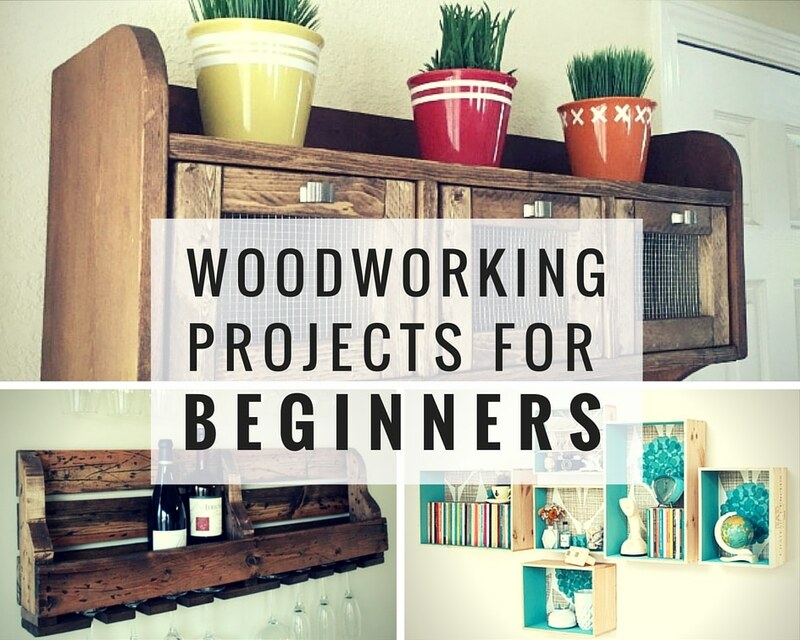 However, making this DIY wine rack requires you to prepare lots of materials if you want to make it perfect and durable for using in such a long time. And don’t forget to tighten the screws carefully so this rack can withstand all of your wine bottle. 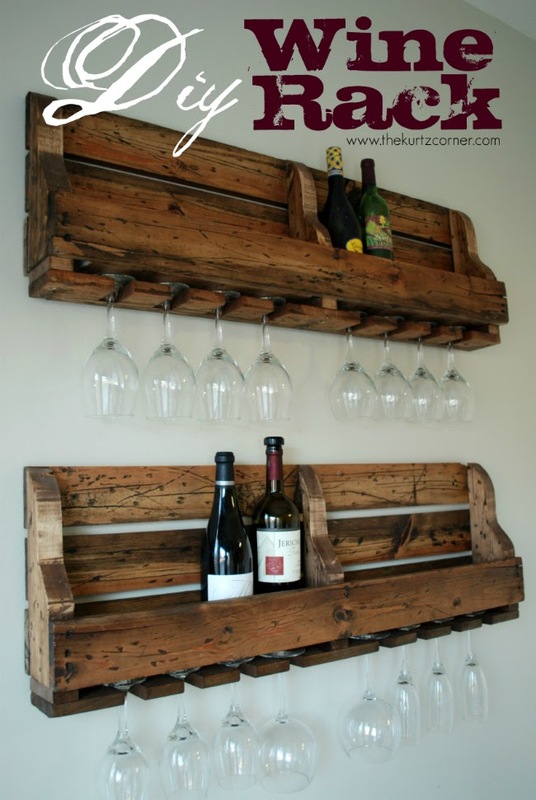 Therefore, hope this DIY Rustic Wine Rack from The Kurtz Corner will offer you some spaces for storing wine bottle, or giving as a gift to friends and relatives. Nowadays, busy homeowners tend to go shopping at the weekend to purchase lots of vegetables for the following week. As a result, they will not have enough space for storing their ingredients. 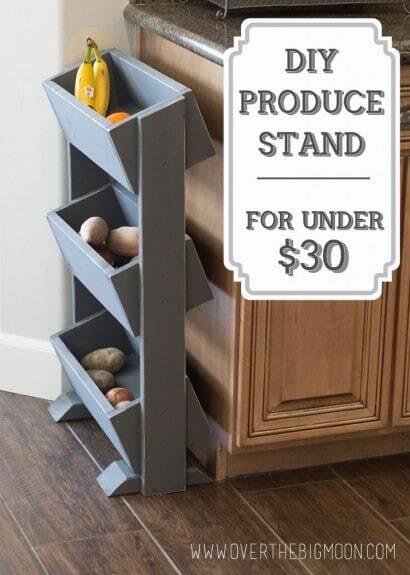 With this DIY Produce Stand for under $30 from Over The Big Moon, you cannot only have more space for storing the food, but this rack also plays as one decorative stuffs in the kitchen. All homeowners have to do is utilize things to make out of wood, spend roughly 5 hours and pay lots of effort for making this stand. And don’t forget that you can use the screws for stabilize the boxes on this stand. From Pam Dana at Over The Big Moon, we offer you the space for storing stuffs in most farmhouse including the cooking guide, napkins and pepper. This tool box is considered to be one of the most ideal gift that you can bring in this Christmas event. By applying some basic skills, it will take you approximately half an hour, or maybe 45 minutes for beginners. People can make various designs of tool boxes. 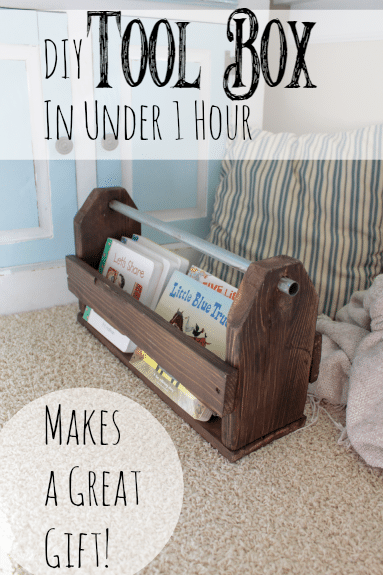 Why don’t create some easy woodworking projects to make as the decoration or versatile things in keeping things. Have you notice that the garden needs to be decorated throughout the years? Outside the house is place where sunlight often shines warmly every morning, this is the great chance for homeowners to grow different types of flower to make the living space become livelier. 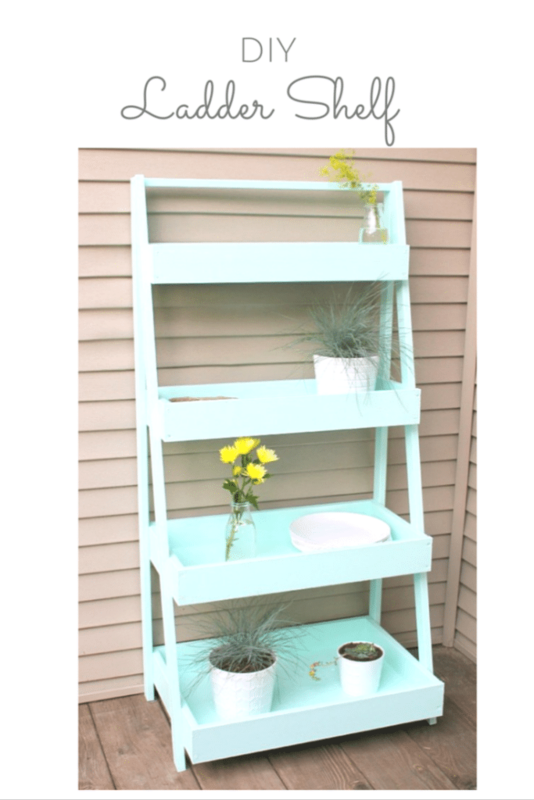 By choosing the colors and designs that you want (you can feel free to create with your favorite number of floor), now individuals can have one DIY stand for keeping all the small pots of flower and plant. Get the tutorial here. If you are looking for some things to make out of wood for this Christmas, then you should not miss out this projects. 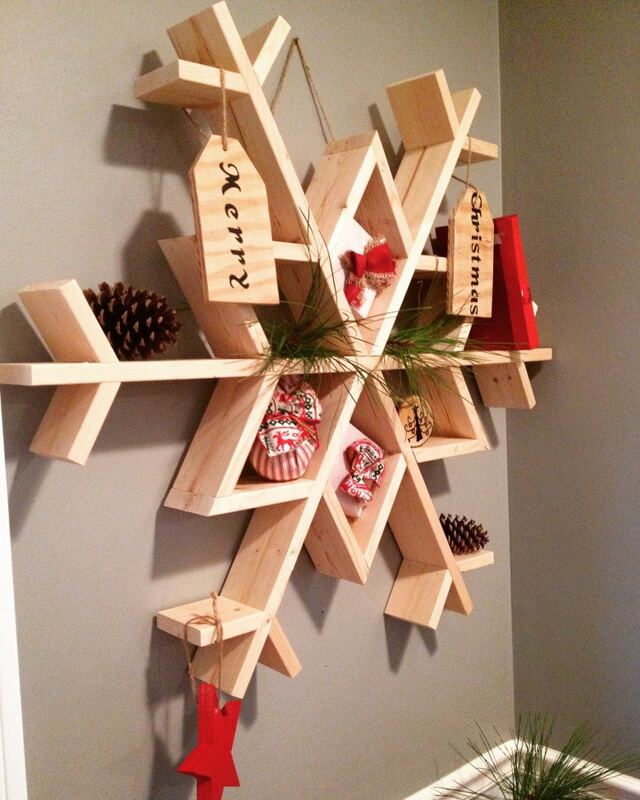 By combining various pieces of wooden material together, you can make a huge snowflake shelf for keeping all the stuffs including ornaments, pine cones, and handmade gift boxes. 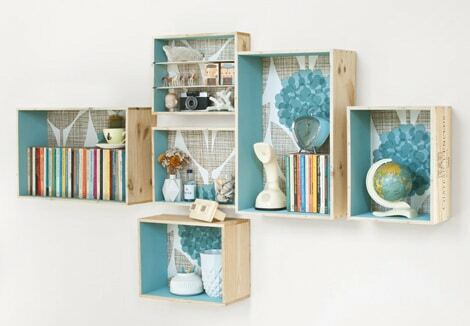 For those who want to make this shelf – DIY Wooden Snowflake Shelf, you can apply a size of 1×6 or 1×8. However, it would be heavier when putting more stuffs on it. For house with lots of members, you will find it hard to find the keys and documents since they are messed up together. 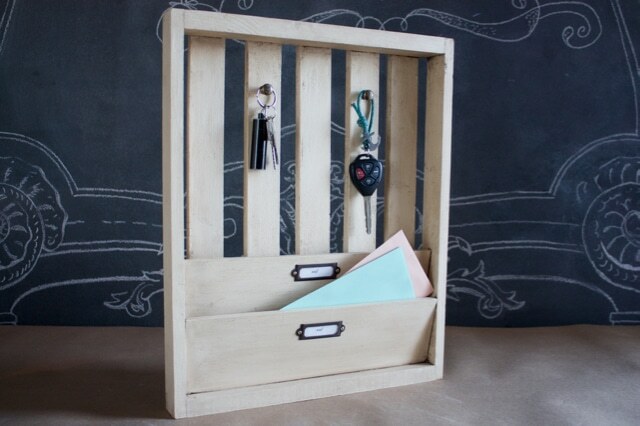 You can design in different design that you want in order to store 2 keys or more than 5, it is up to you. One thing you should remember is that the organizer box must be designed based on the theme and furniture inside the house. Make them strong for hanging securely on the wall. Click here to read more! Obviously, people often purchase the shelf for keeping books and other essentials. In the modern days, why don’t think about creating some hanging storage shelf or bench for keeping all these stuffs well-organized? 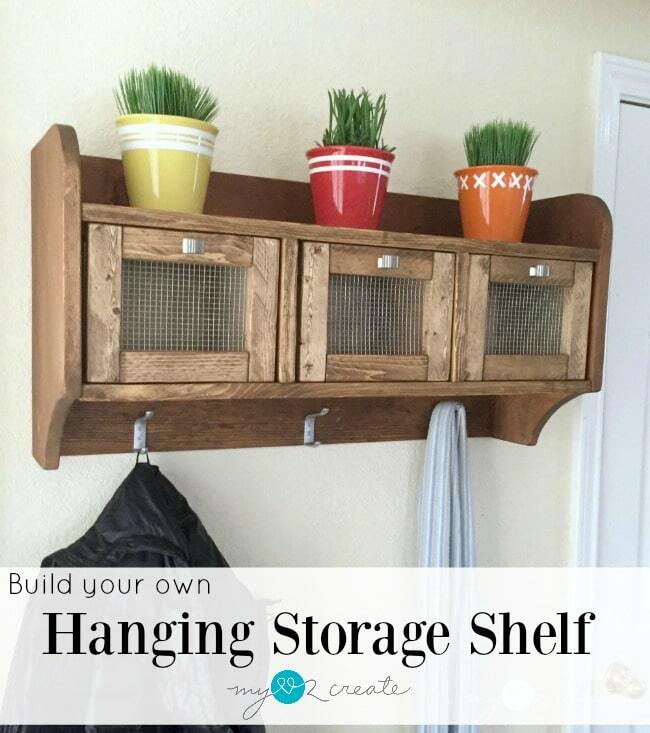 With this Hanging Storage Shelf from My Love 2 Create, you can utilize all the excess pieces of wood and materials around the house. To keep this strong and safe, keep tighten all the snails and screws to strengthen and enhance the high quality. From the beginning of this article, we have suggested one project for you to keep the ingredients and cooking vegetable. 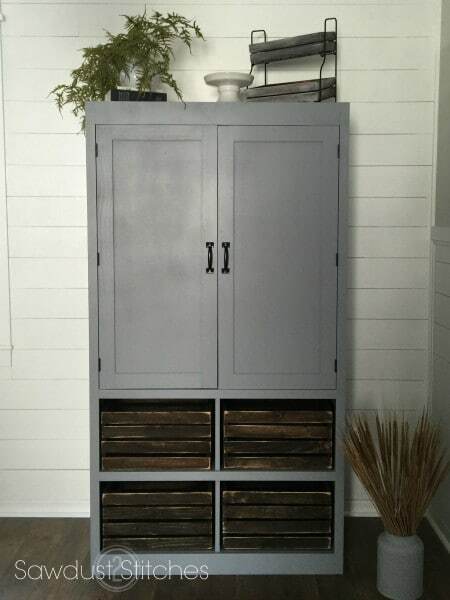 With this project, you can now have one free standing pantry for storing your canned food, wine and toiletry paper. To create the pantry in proper size, it is suggested that individuals should consider and measure carefully the statistic to perform the correct size. For this project, you should paint it with darker tones of color for expressing the cleaning aspect. Check it out here. Adults and elder often love to drink wine, different types of wine. 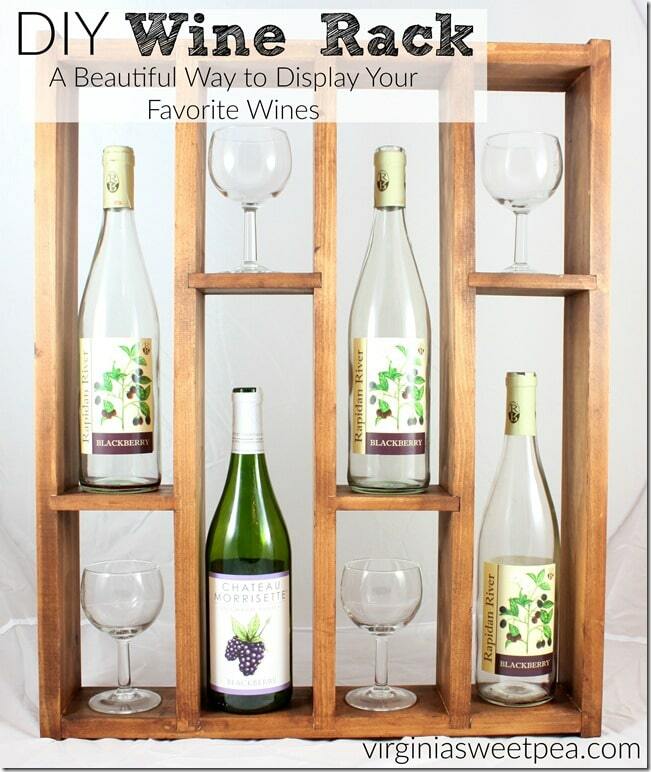 So this is the best method for creating wine rack to give as the gift for parents or grandpa in the house. Therefore, you can store wine bottles and glasses in case this is not used. In addition, this hanging wine rack can also be used as the decorative stuffs in the living area. Get the instructions here. Among places inside the house, garden places an important aspect as it creates place for homeowners to relax and enjoy after a hard working day. 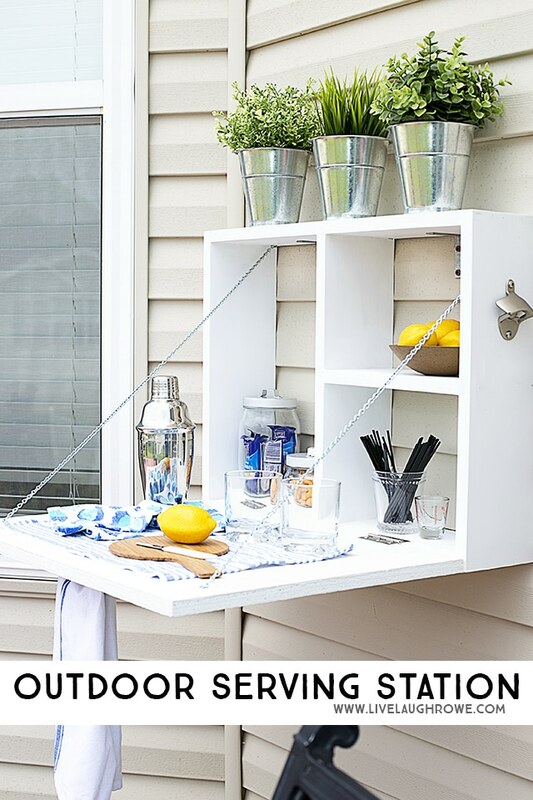 With this outdoor serving station from Live Laugh Rowe, you can not only put on the ingredients for snacks at nights, but also bottle of flowers for decorating the outdoor living space. Interestingly, it would be great to create a strap so that you can open and close for keeping the clean atmosphere. As the picture have showed, people can create a strap for hanging on the towel. If you house has lots of members, having a huge dining table for weekend reunion would be a great idea. However, purchasing this type of table will cost you lots of money. Somehow, you may find it hard to pick up the proper style that you want. On the other hand, you can consider to place whether inside or outside the house. Click here to read more! When mentioning about the kitchen area, this is the place which often gets messed up with different jars including the vinegars, sugar and salt. 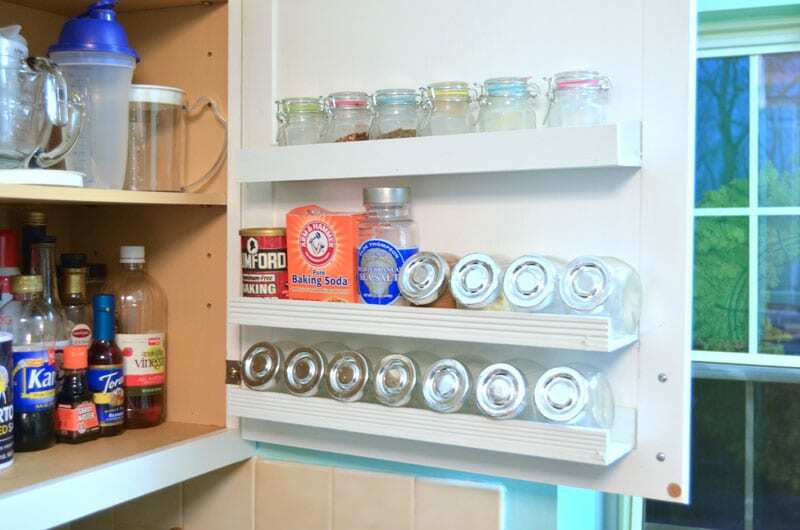 Therefore, DIY inside cabinet door shelf brings you the space for storing all the kitchen utensils. 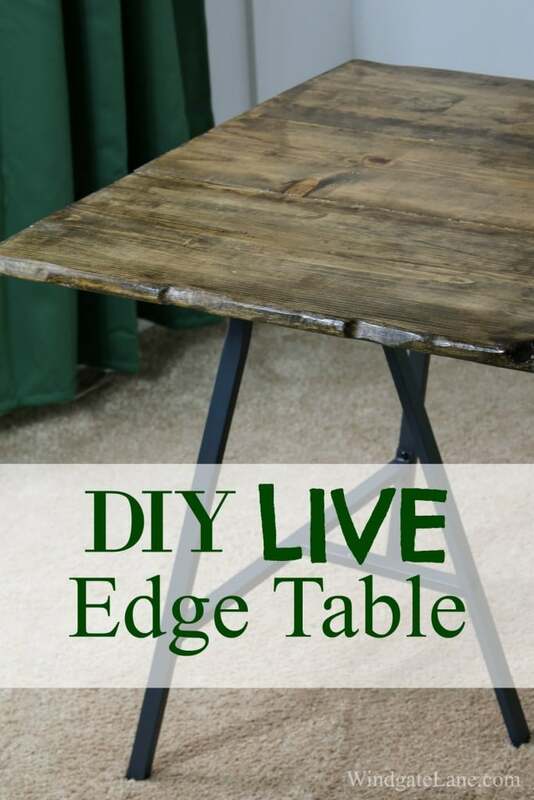 And when made of the strong wooden materials, homeowners can made this strong table. From those simple wood projects above, hopefully you can pick up one for making various decorative stuffs. As a result, these furniture not only create space for keeping essentials, but enhance the basic appearance of their living space as well.